It is past time to hold our political leaders accountable on advancing science-based policies that serve more of our families and communities, better. Join together in voting for officials who will listen to advice from qualified experts and who use the best available evidence and knowledge to inform their work. stand up for science. show up for democracy. This year, in addition to our US House and Senate reps, New Mexico will elect a new governor and other leaders to important state executive positions. All 70 state House seats are up for election. We have a great opportunity to improve the future of our state by being better informed citizens and strengthening democratic processes by mobilizing others to vote. But you don’t have to wait to begin; take action here now! 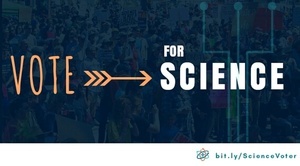 Science plays an essential role in society from and in policies that impact our lives. We need public officials who understand and promote sound evidence-based policy that help our communities and builds a better future for more of us. 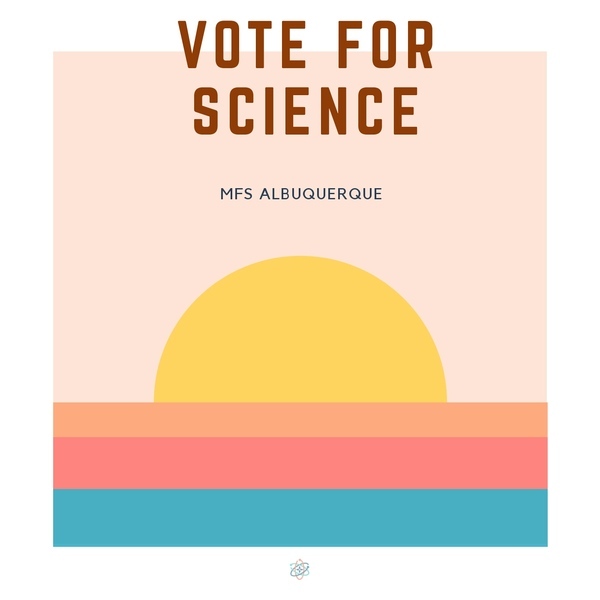 An important way to make a difference is by helping ensure we are informed of the science-related perspectives, priorities and positions of all our elected officials and to vote at every level. ✓ We need people to contact and track down candidates to answer these 10 pressing science policy questions. We are still in the earliest stages of organizing this locally, and it needs YOUR input. Email us now to assist or work on tailoring questions specific to addressing concerns in our communities! ✓ Register others to vote. This year marks the first time that millennials are the largest voter-eligible demographic. Contact us to help get out the vote, especially if you enjoy youth outreach! *Text your street address (e.g., 123 My Street 87108) to 520-363-2981. You will receive a one-time text response with all your local and state rep phone numbers to keep for easy reference on your phone. This service does not collect or share your personal information. *Find local voting information here.